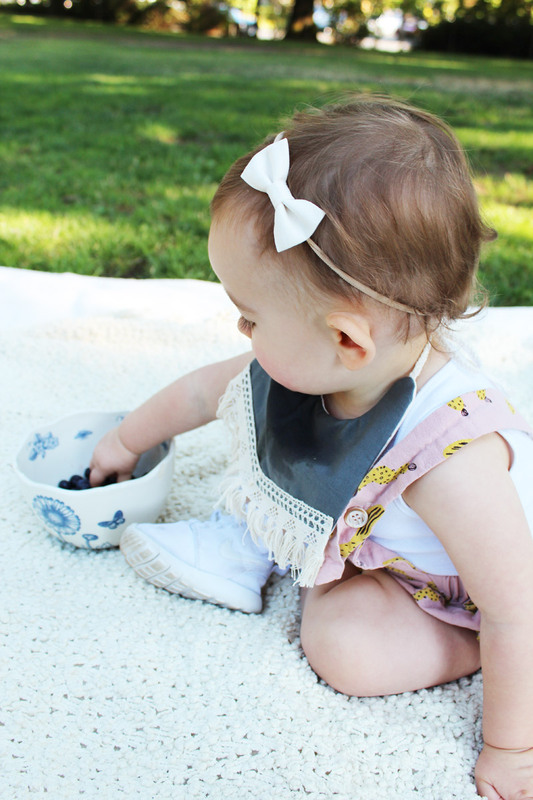 Bibs are just one of those things that we can’t live without for our babies because as we all know, babies and toddlers drool a lot. Both of my kids were major droolers up until they were done teething. 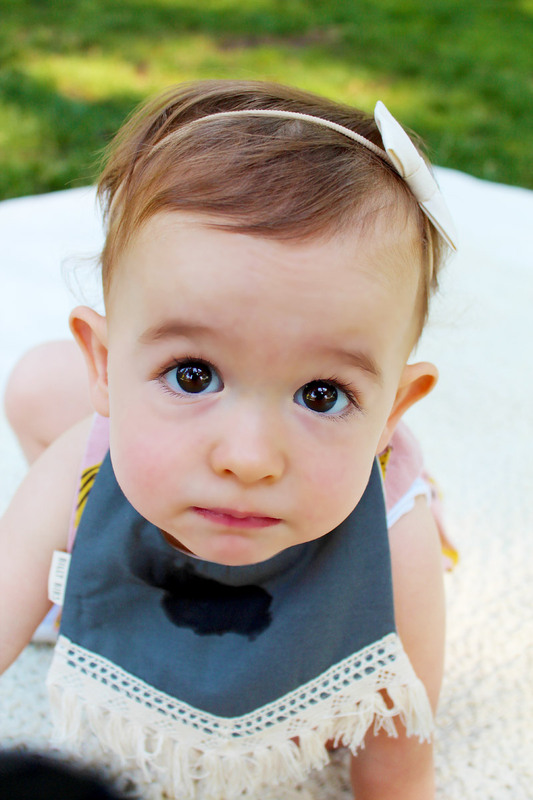 I always had the hardest time finding bibs that were a) cute and b) didn’t soak through within minutes. 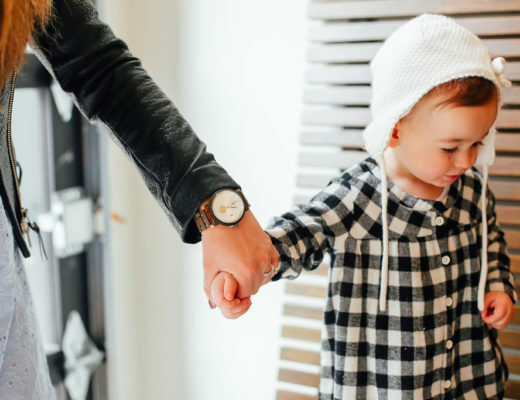 Well mamas, search no more because this totally awesome and creative mom named Kristina decided to design the most adorable, double sided, boho-chic bibs for girls and boys. Her shop is called Billy Bibs. I have yet to come across another store that makes bibs quite like these. 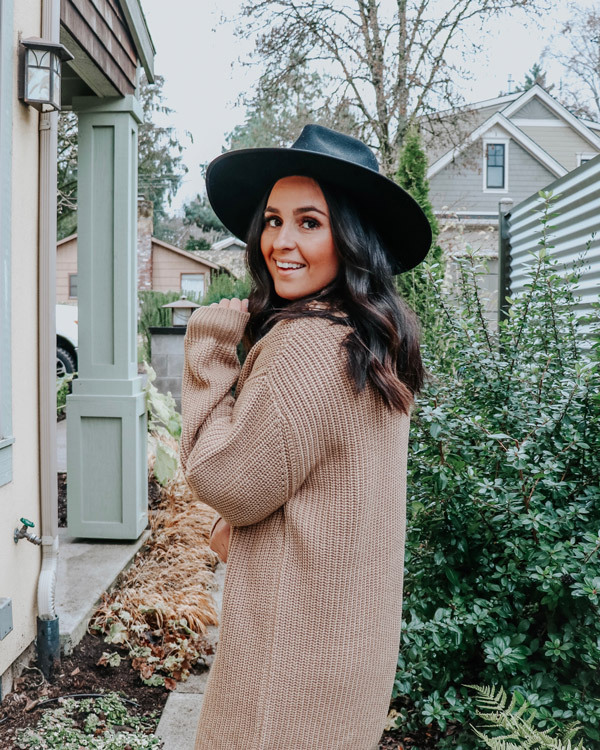 Not only are they boho-cute, but they are practical because of the quality of materials used. Claire drools a lot, as you can see in these photos, but the bibs are so thick and well made that she can wear the same bib for a few hours before it soaks through. 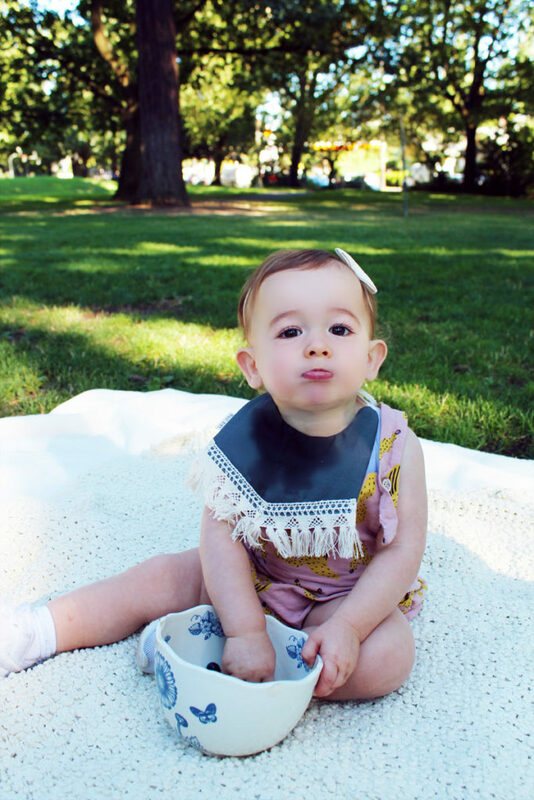 I love how stylish the bibs are, they make any outfit more fun. Let’s talk about these bows for a moment too. These bows are so comfortable and actually stay on! You can get them in the bow clip version or as a head wrap like Claire is wearing in these pictures. They come in lots and lots of different colors so you can mix and match. 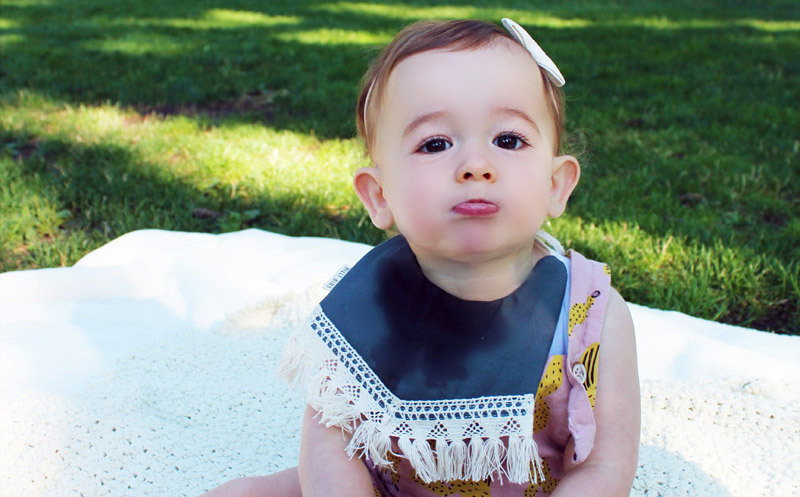 Pictured below is Claire on her 1st birthday wearing another bib from Billy Bibs. 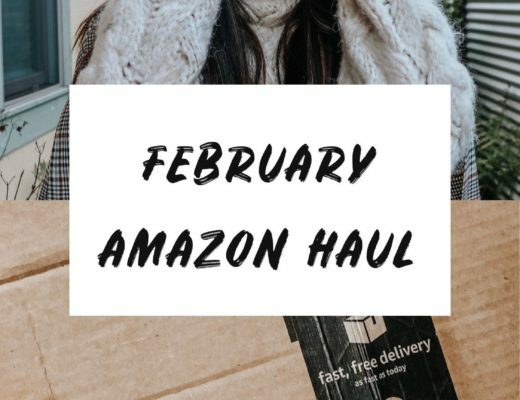 I’ve been following Billy Bibs on Instagram for over a year and have always been so in love with her products. 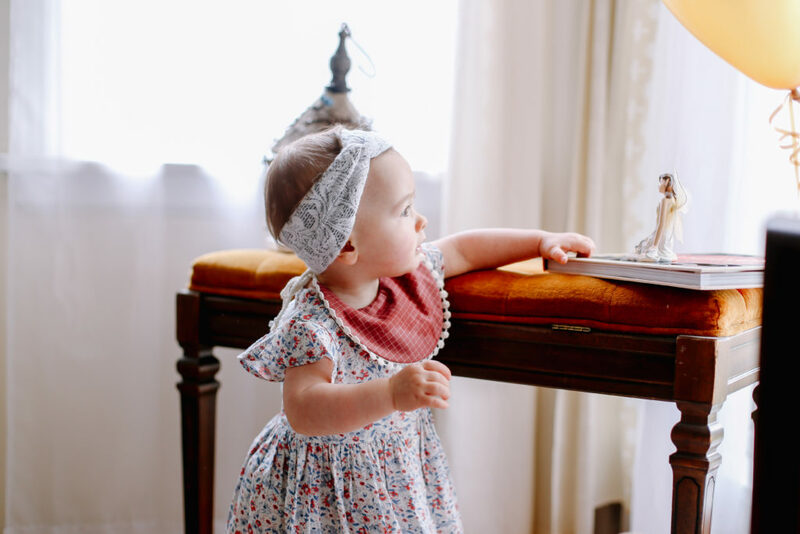 She not only sells bibs, but she also makes a lovely assortment of adorable bows, collars and more. 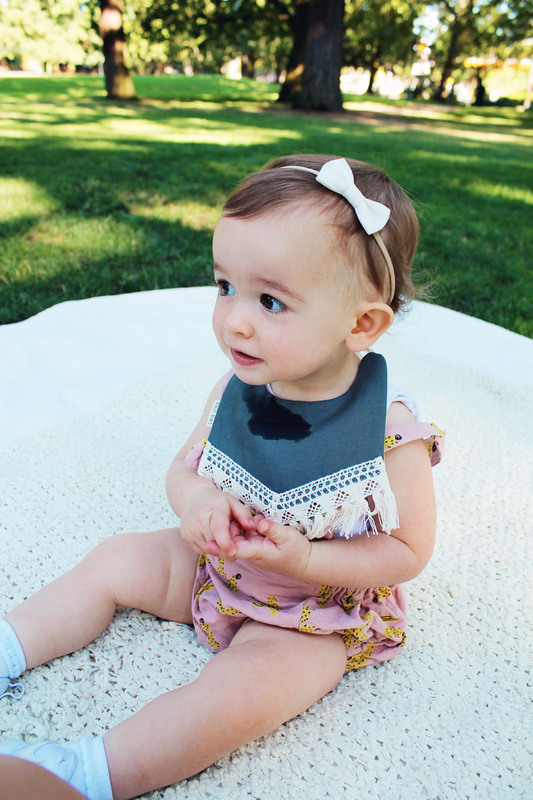 Thank you so much for featuring our drool bibs! Your baby girl is so darling!